You can not decide? Which of the National Park combinations is the right one for You? On this tour you get to know all the northern safari National Parks. After pick up at the hotel, we drive to Tarangire National Park, which is known for its large number of elephants. The park’s name arose from the eponymous river, which in the dry season is the only source of water for the wild animals. The National Park is elongated with a varied landscape, hill, savannah and swamps alternate. Inculcating the giant Baobab trees. Today you drive in the Ngorongoro Crater. 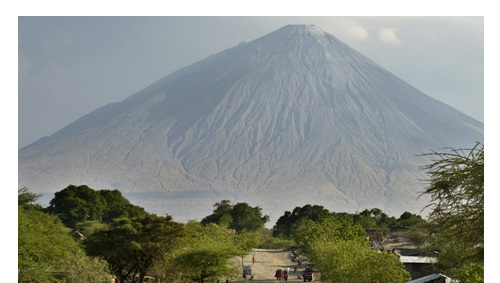 A magical name, the jewel of Tanzania and a World Heritage Site since 1979 . At the crater floor you can find almost all types of East African wildlife. Among other things, you have a good chance at a crater ride to see the famous “Big Five”: lion, rhino, elephant, buffalo and leopard to see. The animals found in the course demarcated Nature Reserve Ngorongoro their home. After breakfast we start to Serengeti National Park. The views across rolling hills, extinct volcanoes with magnificent forests. The Ngorongoro Serengeti ecosystem is called “Eden of Africa” because it has such a poignant and varied vegetation and biodiversity. During migration, millions of wildebeest and zebra to keep the levels of “Serengeti Plains” and the outskirts of the Ngorongoro – a fantastic first impression on reaching the entrance gate to Serengeti Nabi. This day begins in the heart of the Serengeti, the Seronera Valley, amid huge acacia trees and mighty figs. The northern hills dine numerous watercourses, forming the interest the many antelopes, reedbuck and baboons. In water splashing hippos – on acacia rest leopards and lions dozing in the tall grass. This day is fully planned for game drives in the Serengeti. Of course you can prevail to influence the design. The Serengeti is not only Seronera, the center of the Serengeti. The northern region to Lobo offers a lot more. 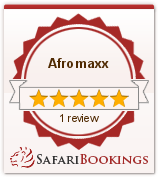 Especially many wildebeest, zebra, Thomson’s gazelles and eland and tsessebe to watch on their long walks. From Lobo it is slightly downhill the East African grave breach downhill. On the way you canenjoy a wide view and get an impression of the country away from the tourist trails. In Engaruka, we arrive at a Masai village at Lake Natron, you will also see the famous Ol Doinyo Lengai. Accompanied by a Maasai leader we start in the early morning for a hike to Lake Natron. The first meter lead along the Engare Sero creek and through the shady gallery forest, then it opens up the seemingly endless savannah. After we have for about two hours a free view at the unique Lake Natron and its brilliant pink flamingo colonies. The lake is important hotbed of flamingos in Tanzania. In the afternoon drive to Lake Manyara. The Lake Manyara is the only National Park in the Rift Valley. Behind the gate lies a in East Africa rarely occurring, groundwater forest, which merges into acacia-lined grassy areas and open grassland. It is known for its tree climbing lions of the park. Besides you, there are some leopards and many monkeys of various species. Predominantly, however, giraffes, impala, wildebeest, zebras, hippos, large herds of buffalo and flamingos.